British Airways has announced it will be adding another two new transatlantic routes to its summer 2018 schedule at Gatwick. 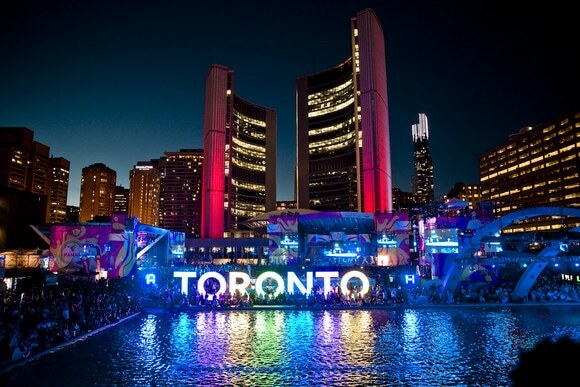 Toronto in Canada, will be taking to the air from May 1, with three flights per week, and Las Vegas will be returning with three flights a week from March 27 next year. The new flight to Toronto will be British Airways’ first flight to Canada from Gatwick, and follows the recent introduction of new long-haul routes to Oakland and Fort Lauderdale in the US. The Las Vegas route, which already operates from Heathrow, is in such high demand that the airline will now offer a service from the two biggest London airports to give customers access to a greater number of seats and a choice of departure airports. The additional two destinations takes the number of new routes introduced at Gatwick in 2017 to six and the total number of routes flying from Gatwick to 71, 24 of them long-haul and 47 short-haul. Sean Doyle, British Airways’ director of networks and alliances, said: “Gatwick has always offered a great range of long-haul destinations, but adding Toronto and Las Vegas to the summer schedule will take the number of transatlantic routes to 21, making Canada, the US and the Caribbean more accessible than ever before. Summer 2018 fares on the Toronto flights in World Traveller will start from £453 return and fares to Las Vegas from Gatwick will start from £699 return, including taxes and charges. British Airways Customers travelling from Gatwick will benefit from British Airways’ modern facilities at Gatwick’s south terminal, after the airline moved in at the start of the year. Those travelling in Club World will also have access to a sophisticated new lounge area at Gatwick, which opened in spring as part of the airline’s multi-million pound investment to benefit its customers with a focus on excellence in the premium cabins and more choice and quality for all. British Airways has launched its multi-million pound investment plan to benefit its customers with a focus on excellence in the premium cabins and more choice and quality for all. Four hundred million pounds will be spent on Club World with an emphasis on improved catering and sleep, and a new seat in the future. At Heathrow a First Wing check-in area with direct security and lounge access has launched, and lounges around the airline’s network are to be revamped and improved. The Club Europe cabin has also been introduced on UK domestic services and all customers can look forward to the latest generation Wi-Fi across British Airways’ long-haul and short-haul fleets over the next two years.